Heidi's Heavenly Cookies - ThirtySevenWest ThirtySevenWest - Creative ideas about personalized custom ribbons, woven tags and labels, personalized gifts and more!!! 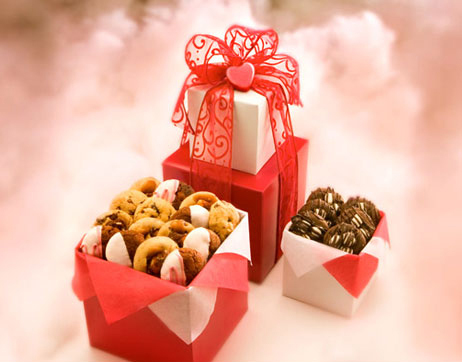 If you want the perfect cookie, welcome to Heidi’s Heavenly Cookies, where traditional cookie delivery has been replaced with a gourmet food basket full of irresistibly fresh and delicious cookies. 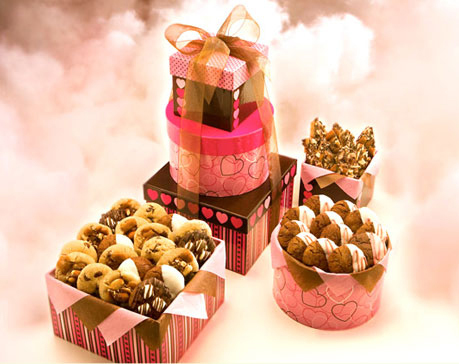 Their cookie baskets are beautifully packaged and arrive brimming with taste and sophistication that will leave a lasting impression. Close your eyes and imagine the perfect cookie. 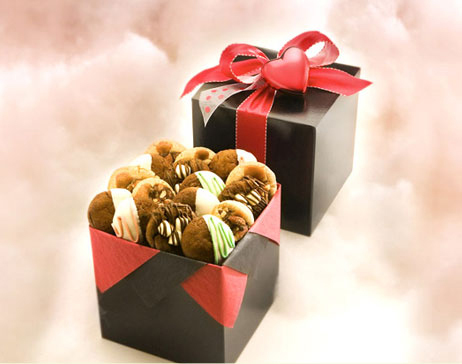 The cookies is homemade with all natural, high quality ingredients, hand rolled and oven baked with love and care. It emerges from the oven evenly baked with a hardy exterior, but the inside is melt-in-your mouth moist. The thin layer of silky chocolate or satiny frosting boasts a depth of flavor so unexpected it stuns the senses. However, this rich flavor does not overwhelm the taste buds, but rather surprises and entices them into always wanting more! Heidi’s Heavenly Cookies has been featured on The Rachael Ray Show, Southern Living, The Today Show, CBS Atlanta and many others. Consider using them for a gift for someone special and you won’t be disappointed. Be sure to check our their Catalog of goodies! Are you a baker yourself? Why not whip up some of your delicious recipes and use Heidi’s Heavenly Cookies wonderful packaging ideas as a little insporation! The colors are so fun and festive with Valentine’s Day just around the corner. A handmade treat is a great way to show someone how much they mean to you. So say “I Love You” with either your own tasty recipes or stop by Heidi’s Heavenly Cookies for some of their delicious cookies. Holiday’s aren’t the only time to show someone you care. Why not surprise them with a special treat just because? And while you’re at it, make it even more special by wrapping it up in some of our personalized printed ribbon. You can have it say “A Special Treat Because I Care” or “Always Thinking Of You” or anything else you can think of! I took some candy to Kandy, one of the girls at Bank of America that was exceptionally nice and helpful, and wrapped in some of our ribbon that said “Thank You For Your Kindness” and she loved it! This entry was posted on Saturday, February 11th, 2012 at 10:45 am by Linda	and is filed under Featured Guests. You can follow any responses to this entry through the RSS 2.0 feed. Both comments and pings are currently closed.